Fresh Invest is delighted to release a stunning high spec, fully furnished Halls of Residence located in Central Portsmouth. Brought to you exclusively by Fresh Invest. 29 – 31 Hampshire Terrace is a Grade A centrally located purpose built Halls of Residence comprising of ten 2-bedroom apartments (twodio’s) and three 6-bedroom houses. This superb development, built out by our business partners, offers a great opportunity to purchase an off market investment with a Gross yield of 8.1%. The halls of residence is a mix of new build and high quality refurbishment with a great specification. 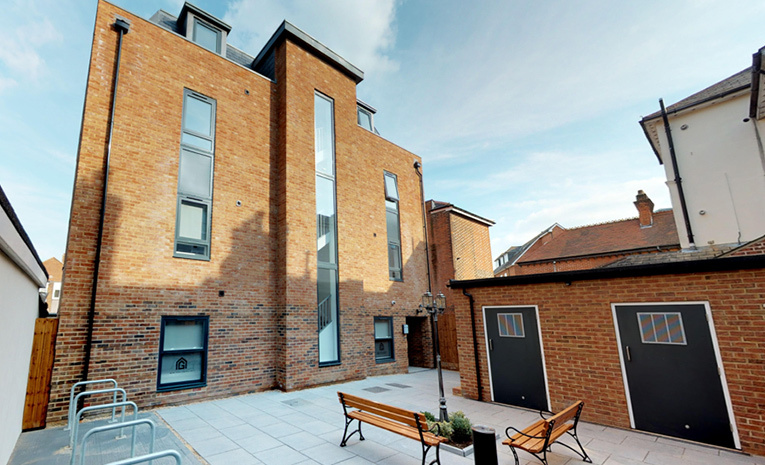 The properties are fully electric and offer a bespoke modern design with integrated CCTV, WIFI and external communal courtyard. The University of Portsmouth is one of only four universities in the South East to receive the highest ‘gold’ rating in the Teaching Excellence Framework. It is the 37th ranked University according to the Guardian University Guide 2018 and achieved an 88% satisfaction rate in the National Student Survey 2017. There is a population of more than 22,000 students including 5,000 international and EU students from almost 150 different countries and 2,500 full-time staff. The University has invested £150 million in buildings and resources over the last 10 years.